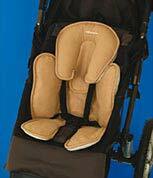 Car seat cushions are widely available for the adult market; however, few are available for babies and toddlers. 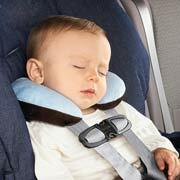 Most infant carriers come with a basic model of the infant head and neck support cushions. This is imperative for the first few months. Typically a thin padding covers the plastic structure. Emphasis on general safety and keeping to costs down seems to keep the padding to a minimum on most seats. For newborns, there is a selection of head huggers or head cushions to help your little one from flopping from side to side. Particularly if you have a small or premature infant, you may find the need to add extra cushions to support your baby. If you are looking for a car seat model that will take you through to the toddler level, this may be of greater concern. Extra support can fill the gaps until your rapidly growing baby is grows enough to better fit the standard cushions that come with these seats. A baby will always appreciate a little extra cushioning, however, little ones are very accommodating. Whether you choose a car seat with lot of cushioning or less cushioning, your baby will most likely adapt to the situation. There are babies that are particularly sensitive to padding, and, for them, you will like to look for a car seat with an abundance of padding and consider an organic car seat cover. Some parents like to provide additional support to cover the straps on the baby car seat cushions. This is highly recommended. These straps often end up in baby’s mouth. If you can pad it your baby may enjoy the comfort and you will feel better about being able to wash them often. From the early stages until late toddler hood, it is amazing the number of items that end up in our child’s mouths. We need to keep constant vigilance on what they are choosing to chew on.